Service Design: another toolkit of techniques or the future of how CX is delivered? Delivering shiny ‘differentiating’ customer experiences is a thing of the past – they don’t last, and can’t keep up with changing customer expectations. Businesses must now take a research-driven service design approach to customer experience, or risk outsourcing the delivery of their experience to the people they are trying to serve, their customers. Using examples from our clients across retail, telco, utilities and public sector, we’ll take you why this approach should be taken seriously – and give practical steps to use insights, behavioural research and service design effectively in your organisation. 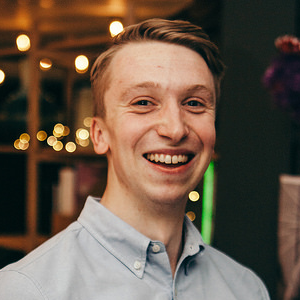 Andrew is a Customer Experience consultant at Sparks Grove London, specialising in user centred design and innovation in the public sector. For the past 12 months Andrew has been focussed on establishing a service design lab in a central government department. Yasmin has extensive experience in delivering customer experience insights and improvement projects across Retail and Telco clients. 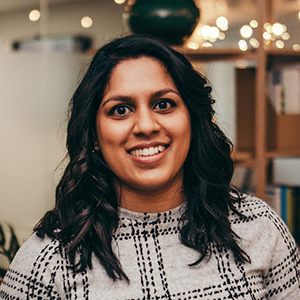 Yasmin’s expertise spans process and customer journey mapping, contact centre strategy and improvement and service design.